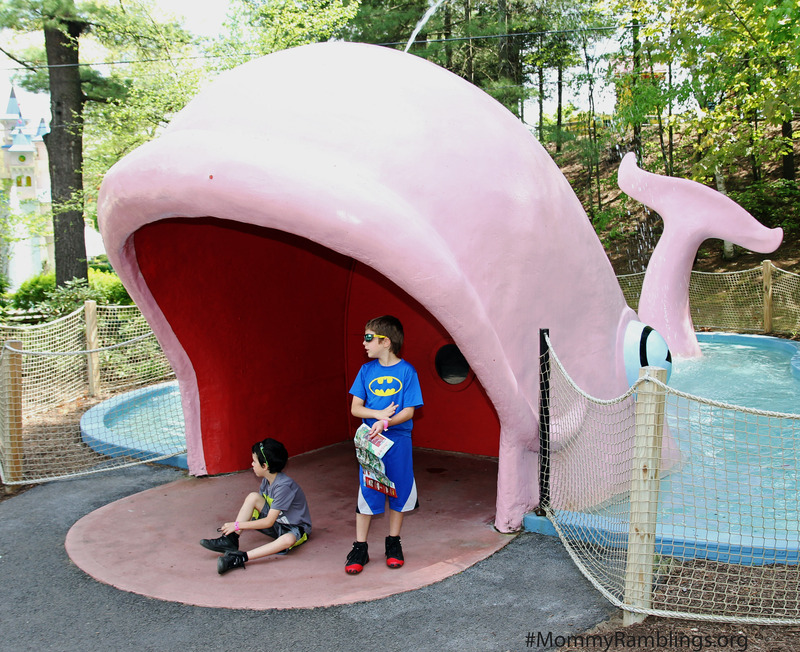 As New York State residents, we have thought many times about taking a trip up to Lake George but just never got around to it. We finally made the under 4 hour drive there last weekend and we had a blast! 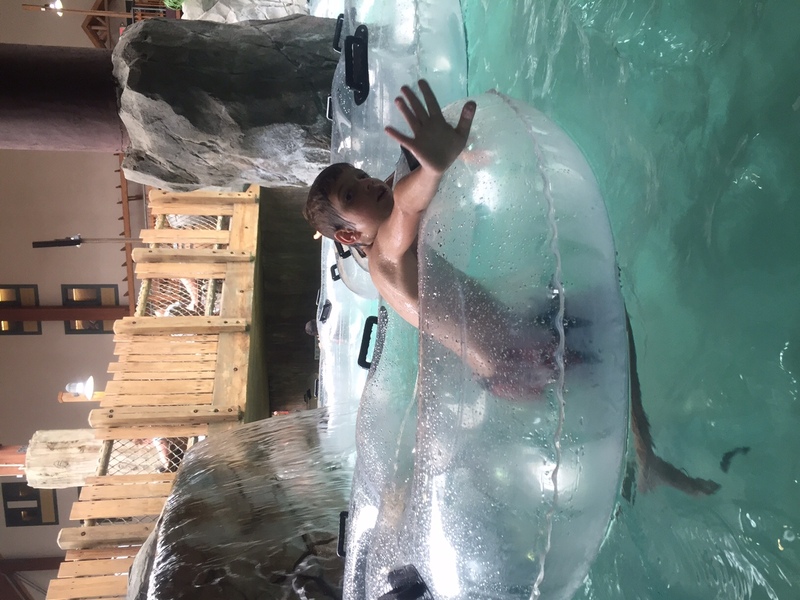 We stayed at the Great Escape Lodge and spent our first day at their indoor waterpark and the second day at Six Flags Great Escape Theme Park which is across from the lodge. 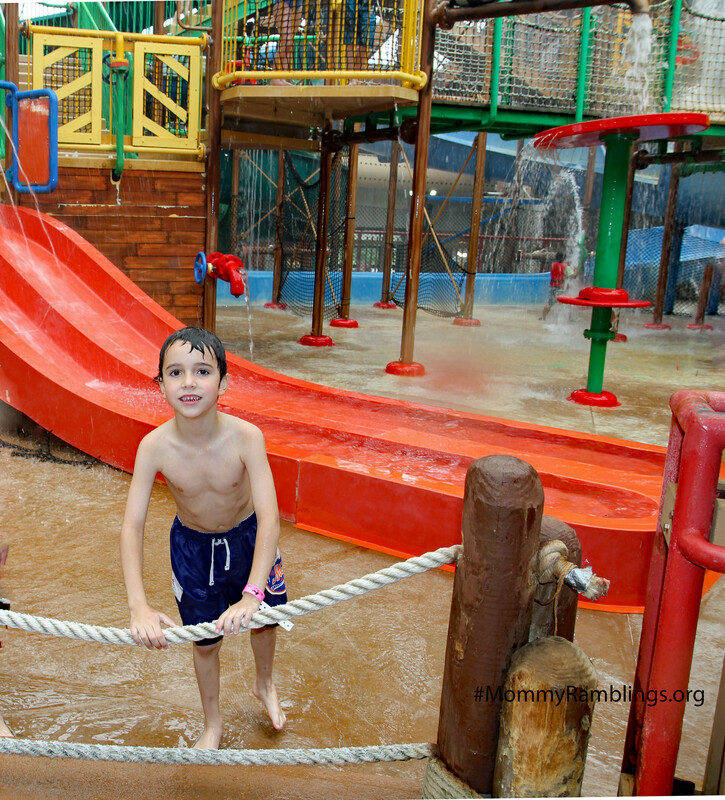 The outdoor waterpark Splashwater Kingdom had not opened for the season but we still had a fun-filled weekend. 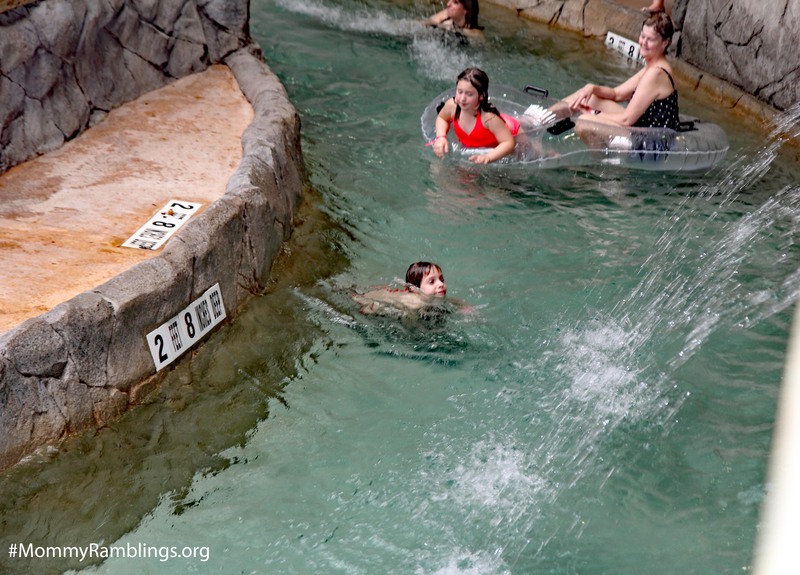 The kids really enjoyed the attractions at the indoor waterpark. It was not extremely busy even though it was a weekend, which was really nice. It is not as large as some we have been to but they had plenty of ways to have fun. 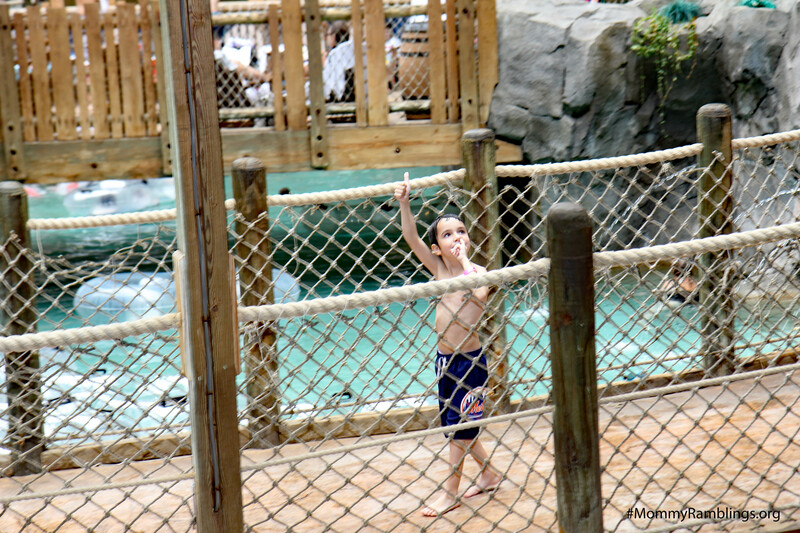 The Lazy River was something we spent a lot of time in as a family and it was far from lazy. 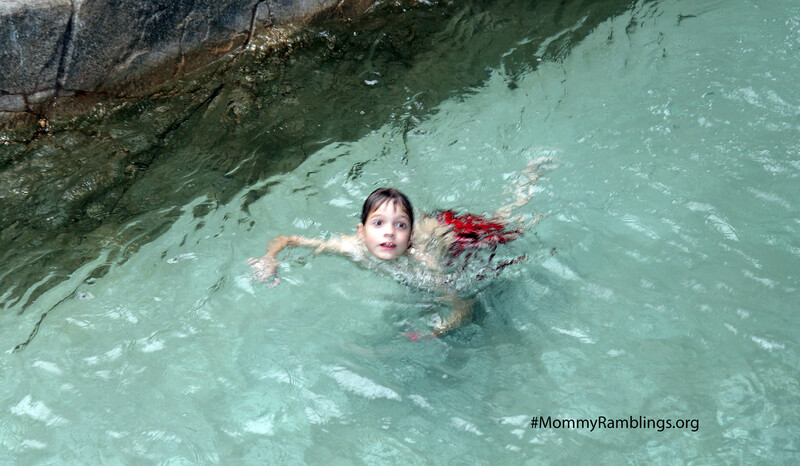 there are currents that push you around as you free swim or use one of the clear double seater tubes. As you go around there are plenty of cascading water falls, so navigate carefully if you don’t want to get soaked! 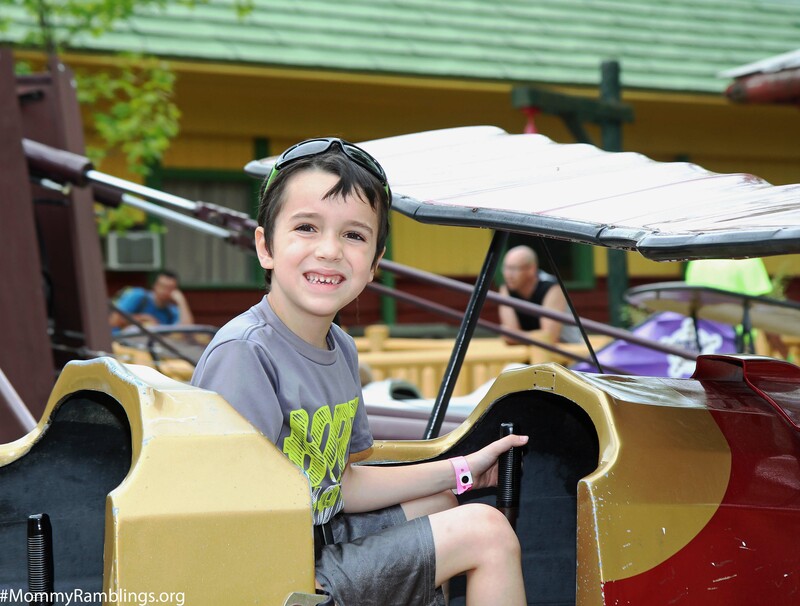 If you are looking for a thrill ride you can go on together as a family, The Avalanche is a twisting, turning, exhilarating four-person raft ride. This 382-foot tube simulates all the thrills of a white-water rafting experience complete with a 41-foot drop. Oh and the ride is dark to further enhance the thrill! I screamed my lungs out when we went but was glad I experienced it! 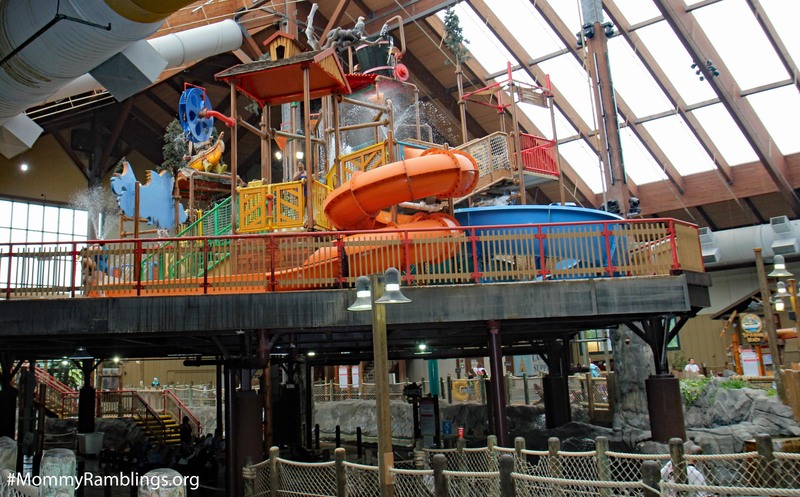 Glacier Run and Snow Shoe Falls are 2 tube water slide, thrill rides. 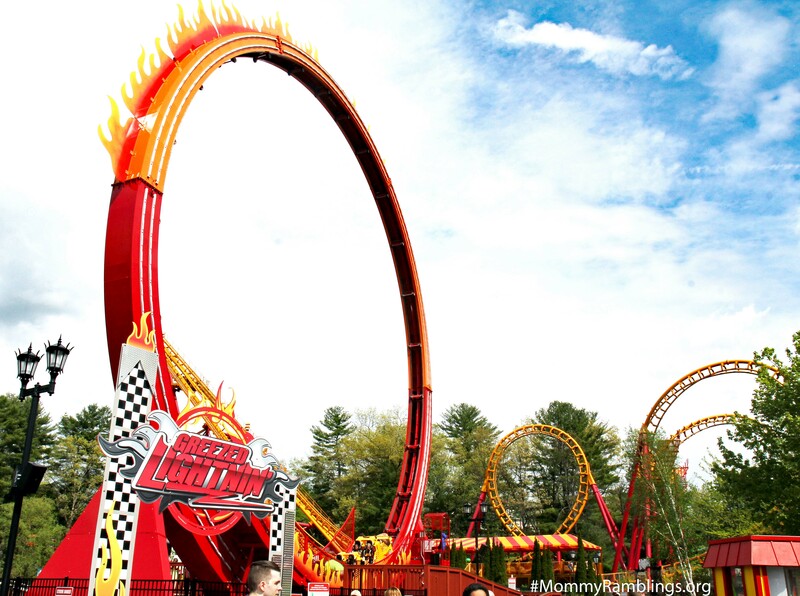 Riders will sit on a tube and go through loops, curls and down a 41-foot drop. Both slides are approximately 300-feet. However, they were not running when we were there. Not sure what the issue was. 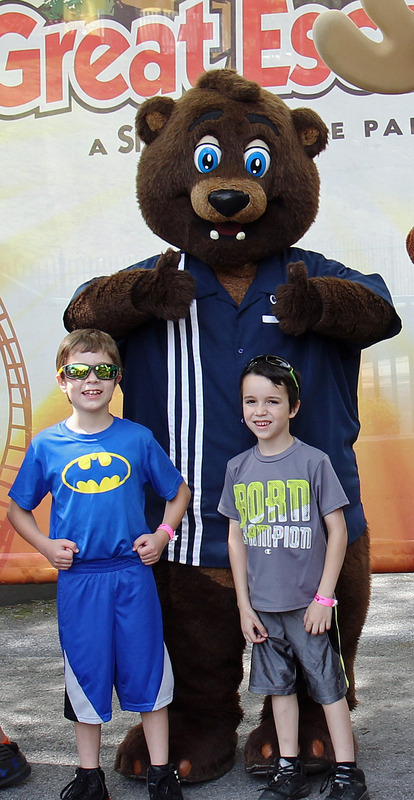 The Boogie Bear Surf is a surfing simulator where you can body surf or stand-up surf. 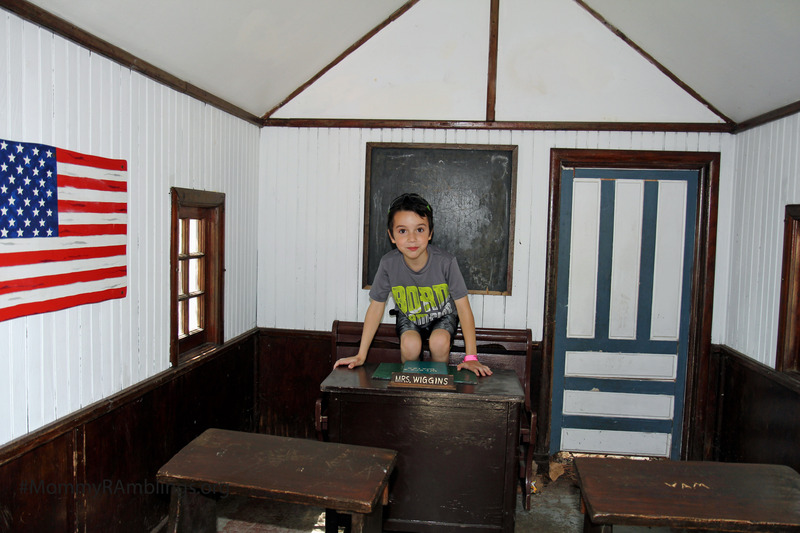 There are lessons available. To body surf on a boogie board you must be 42″ and over. To stand and surf you must be 54″ and over and a lesson is required to stand up surf. 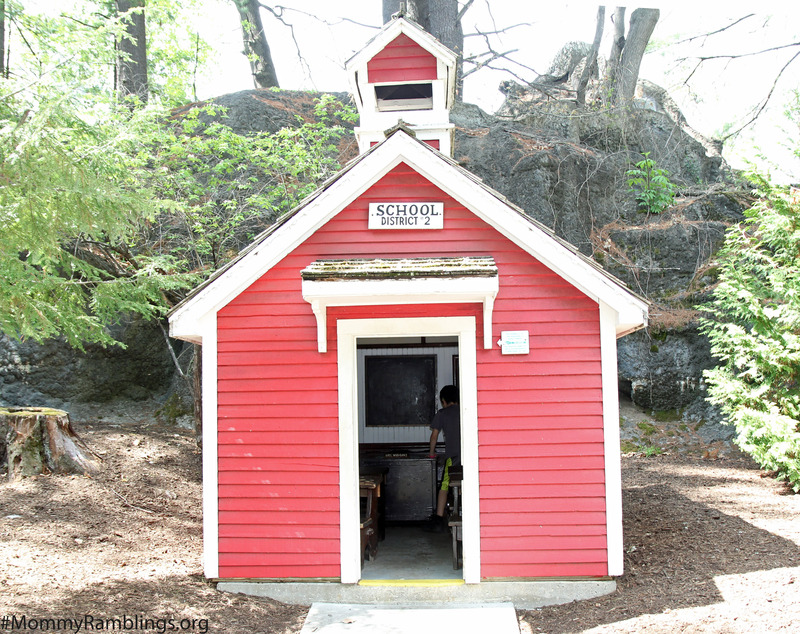 Little Tots and Young Kids 54″ and under can have fun at Tip-A-Kanu Beach with slides, swings, shallow water and wildlife-themed spurting fountains. 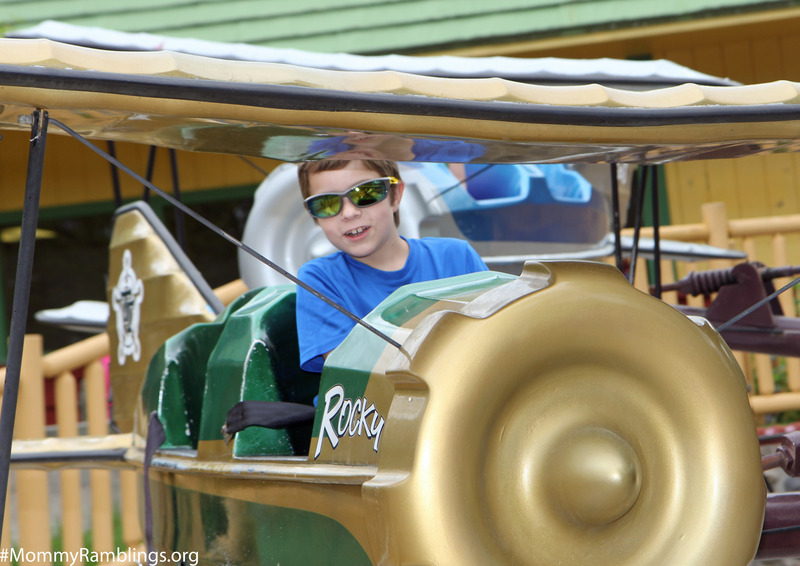 Tall Timbers Treehouse has over 160 play features and is fun for preschoolers and up! 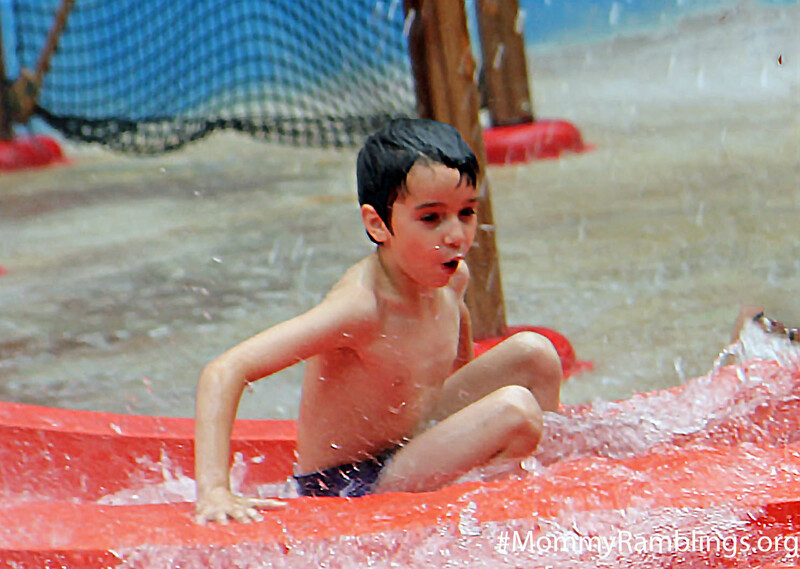 There are smaller red slides for kids under 54″ and 3 more thrilling slides for the 40″ and over crowd. 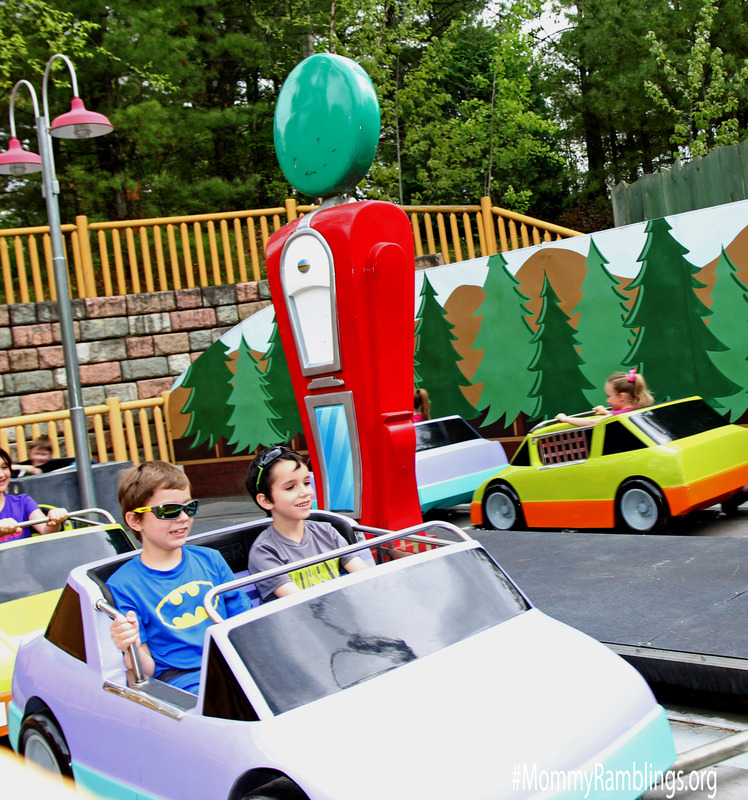 Water fights and fun can be had with the swivel water rifles, hydro blasters, arch jets and steering wheels that increase or decrease the water volume out of the fountains. Watch out though because perched high above the tree house is a ginormous bucket that soaks everyone below when it gets full! 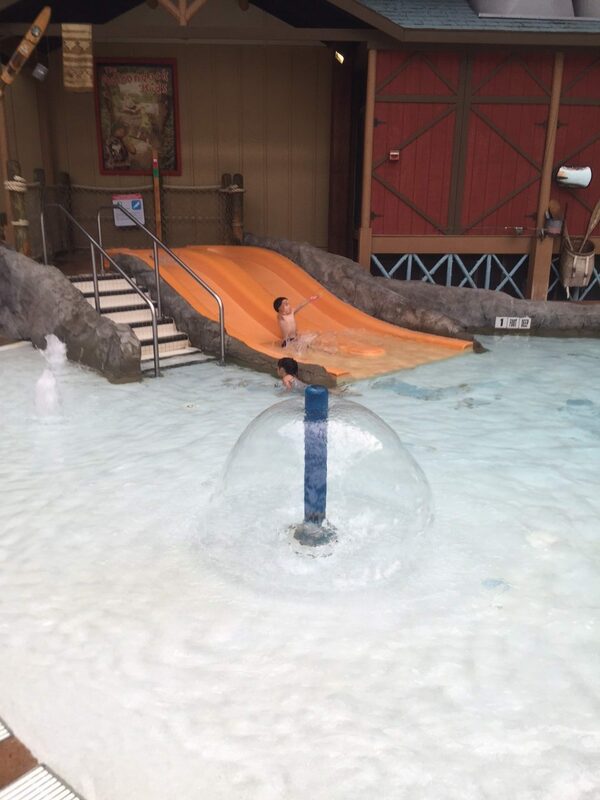 There are lots of videos from the waterpark on our Instagram. 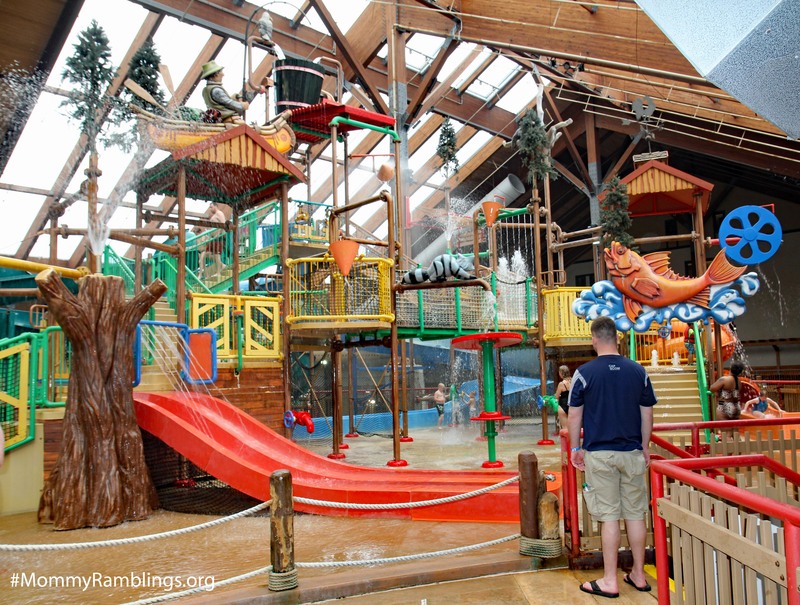 A couple of issues that I did notice are unlike some indoor waterparks, it is not exclusive to just the lodge guests so there was a birthday party going on and some older kids that were causing a little mischief but the lifeguard quickly put the kibosh on it. The lifeguards are all over and friendly but with the tube slides they should have a little bit better control of making sure only one rider is in the tube at a time. 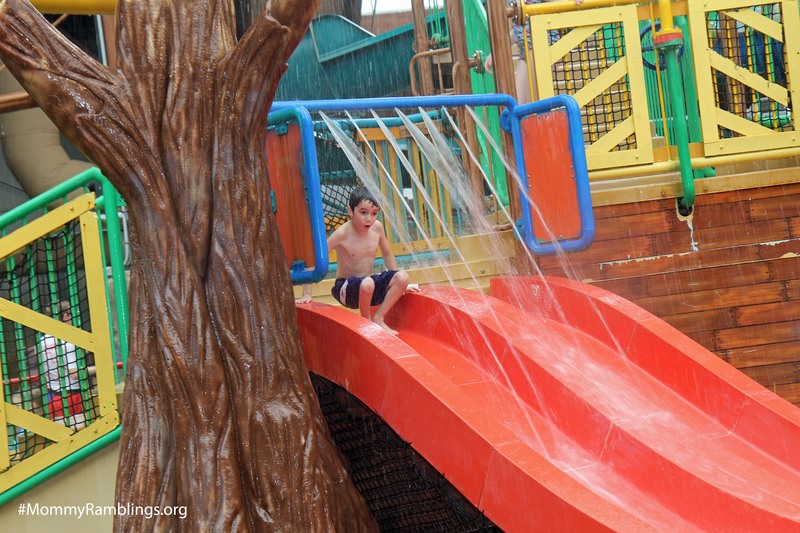 In other parks there is one lifeguard at the entrance of the large slides and they give the okay for each rider to go down the slide only when they have made sure the previous rider has exited. There were several close calls and some collisions we did notice. Our little guy hurt his foot pretty bad when he had a collision with another rider. The lifeguard was so sweet and tried to take his mind off the pain while they called in First Aid to get him ice. Monitoring the slides should be something they think about implementing. 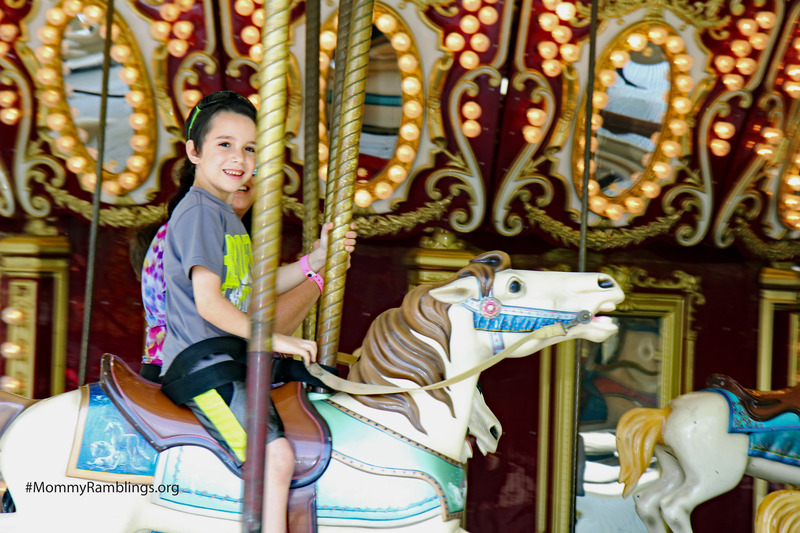 There is a fun-filled arcade called the Star Light Arcade but our kids are more the type that want to be the action, actually our whole family is, so we spent our time at the waterpark and Six Flags Great Escape. 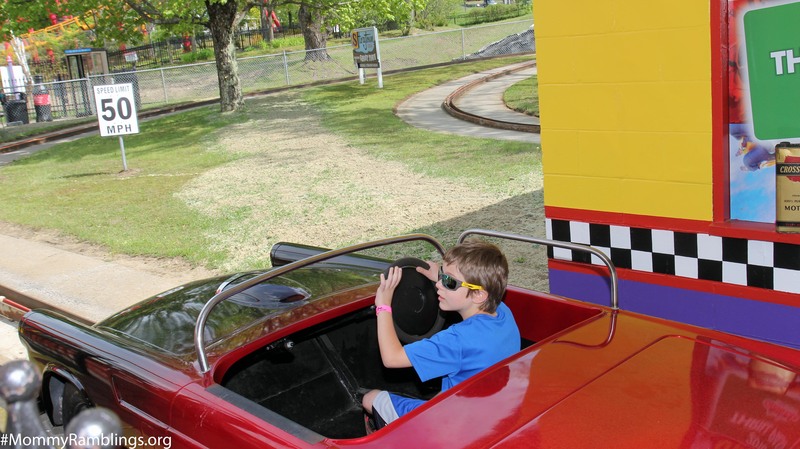 If your family likes arcades, the arcade features over 45 games fun for kids of all ages. 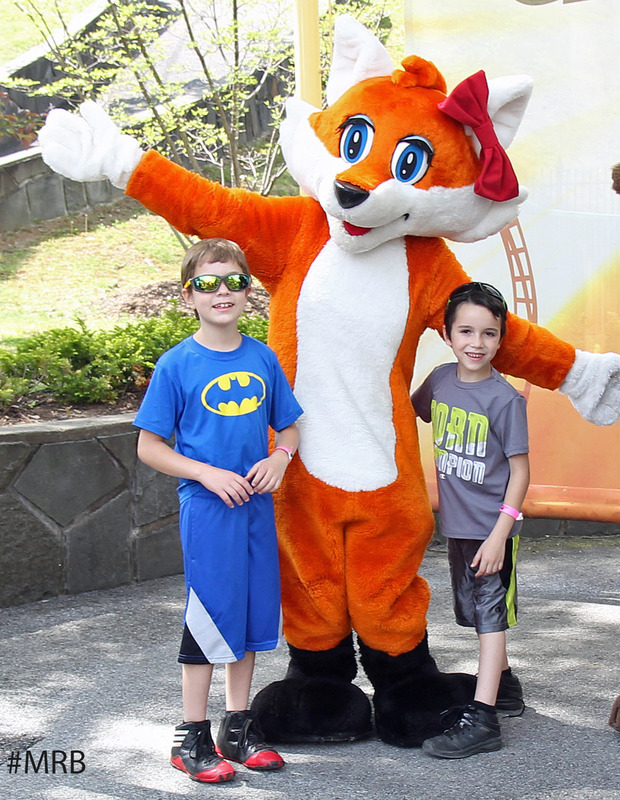 They can collect tickets when they win and then redeem them for a variety of prizes. 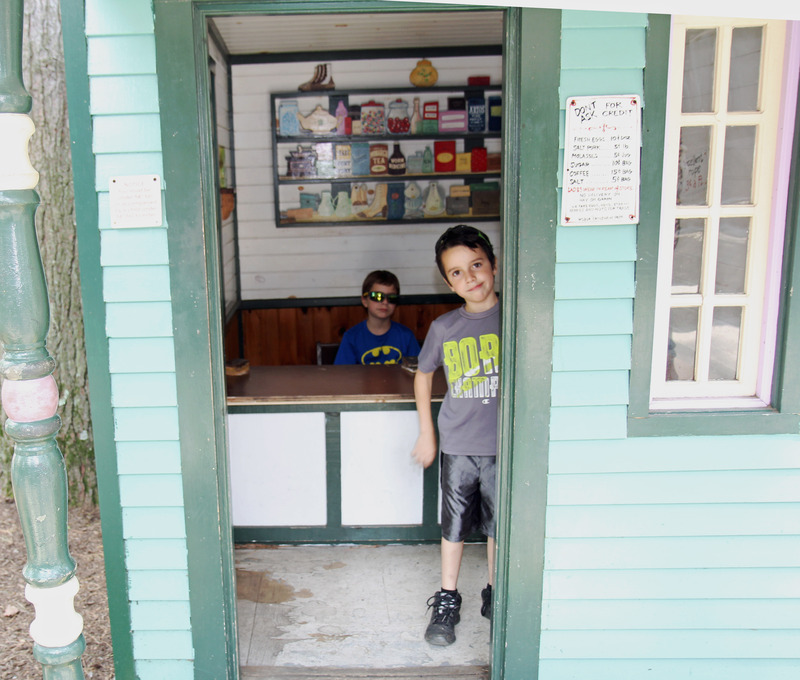 If you want to shop for Lake George Souvenirs the lodge features North Woods Traders where you will find a wide variety of clothing, Adirondack gifts and craftsmen-inspired treasures. Various travel supplies and sundries are also available in case you forgot anything. If you are in need of some pampering the Tranquility Spa offers a variety of services to help you relax and rejuvenate. 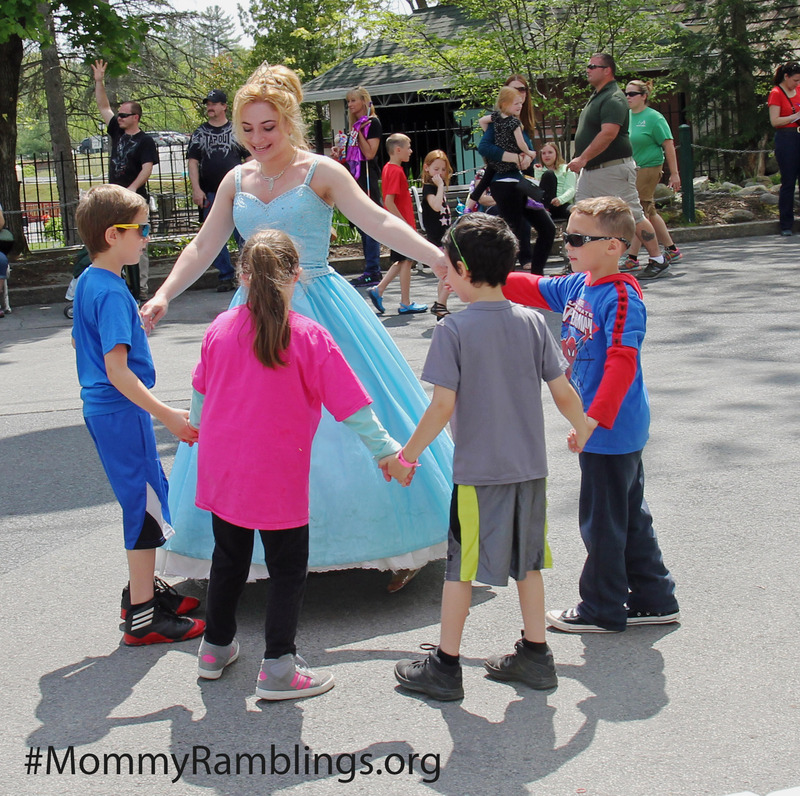 Need some “Mommy & Me” time? No problem, get a Mommy & Me Facial, Mani or Pedi! The Fitness Center features an elliptical, upright bike and universal gym, along with a flat-screen TV. Everyone at the Lodge was so helpful and friendly. 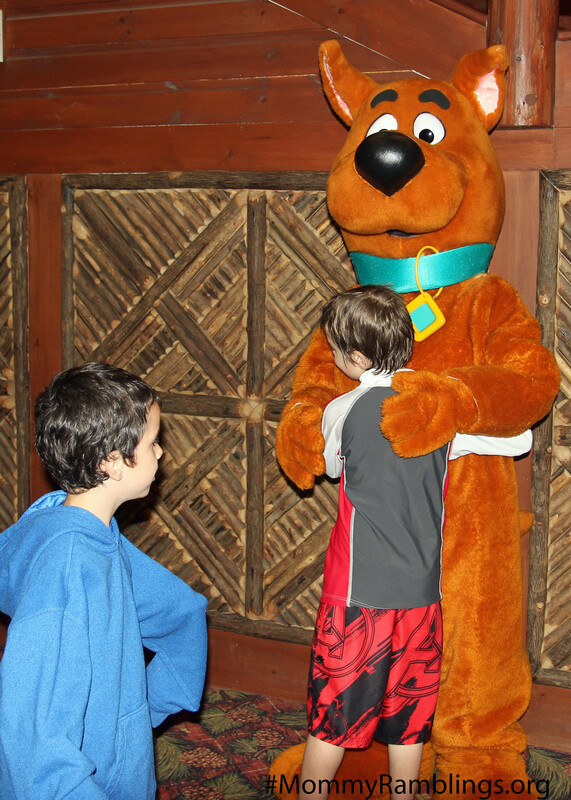 They have several activities with kids and Scrappy Doo. 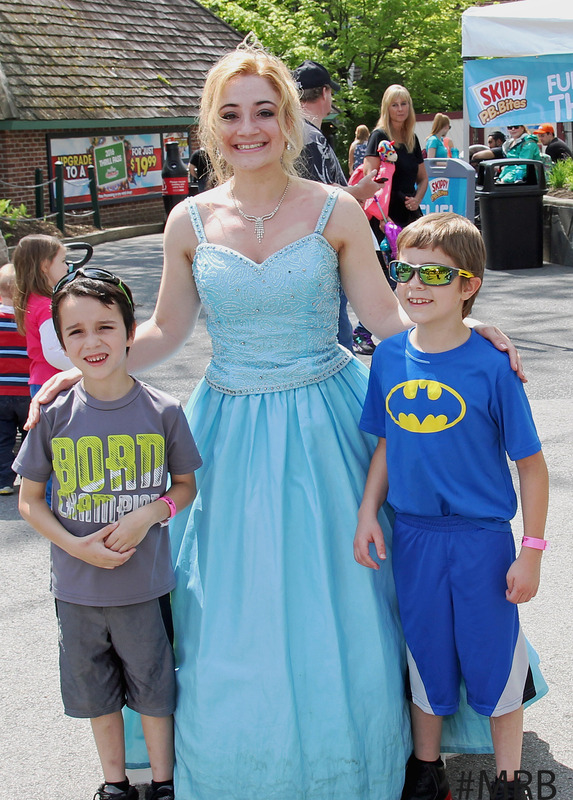 There was a dance party and our sons were so amused along with all the other kids. 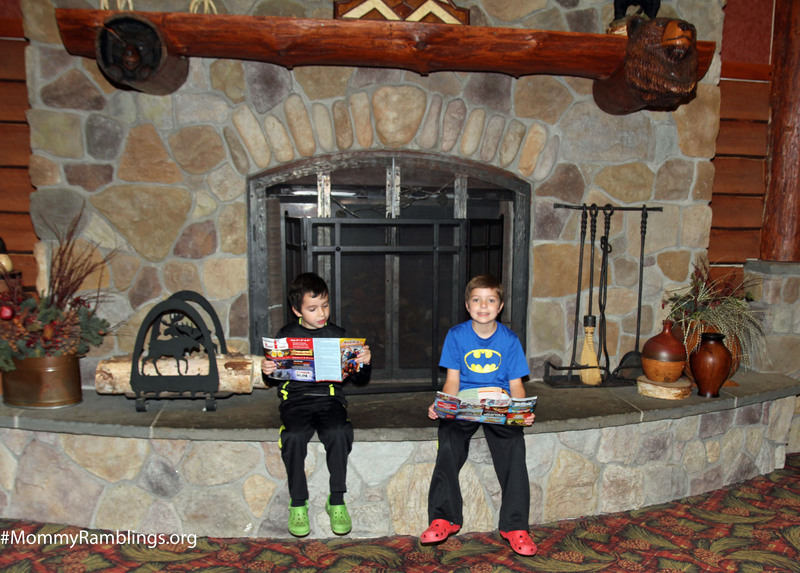 They also had a story time at 7:30 pm but our boys were not ready to leave the waterpark then. The waterpark was open until 9pm when we were there. 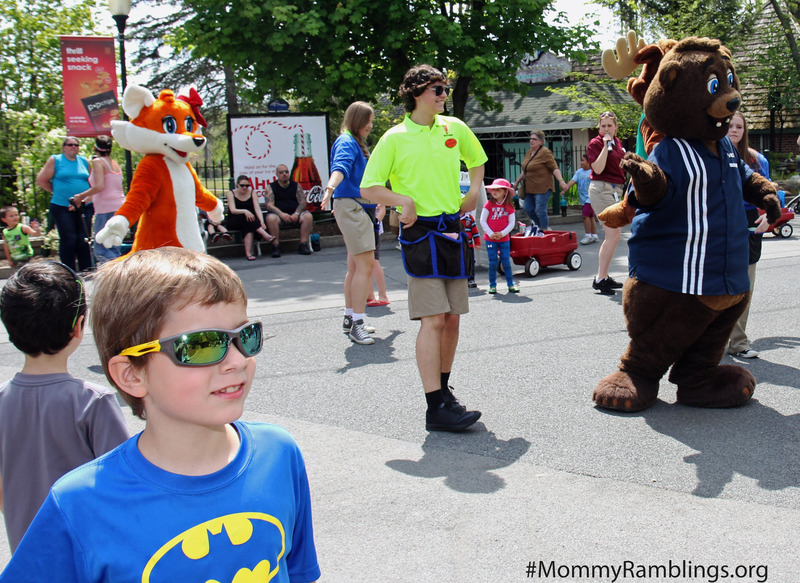 Click HERE to see a video clip of the Scrappy Doo Dance Party on our Instagram. 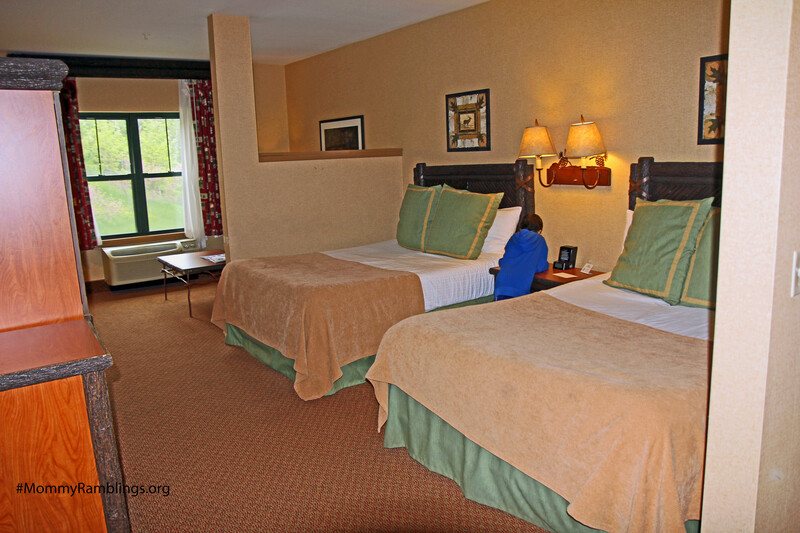 All of their Adirondack-themed suites are non-smoking and furnished with rustic log inspired furniture and accents in warm colors. We stayed in a traditional suite but they have other room options. The traditional suite we had was very nice and spacious, it had 2 queen beds and a sitting area with a couch that converts into another bed if needed. There is a table and 2 chairs as well as a coffee table in front of the couch. The bathroom has a tub/shower combo and toilet. The tub needed to be calked badly and it appeared black where the calk was missing in places. That is the only thing I found off-putting with the room. I would think they would have fixed that and cleaned it up. There were plenty of clean towels and the beds were clean and fresh. 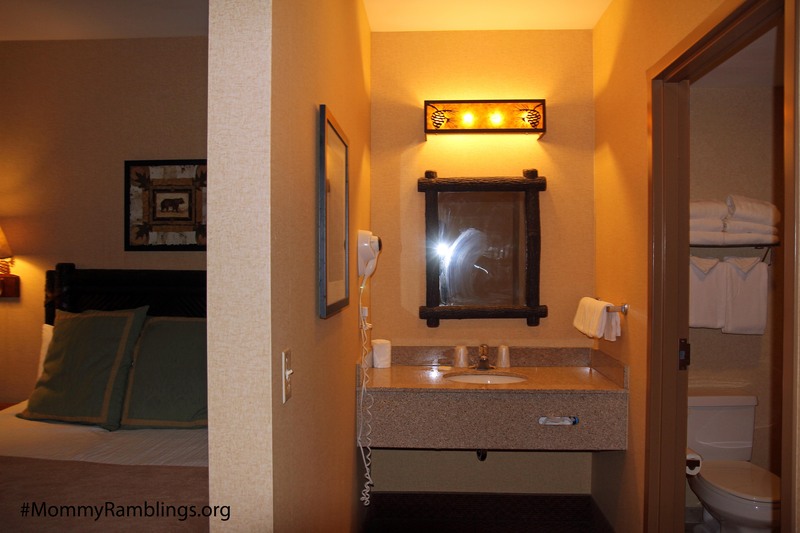 The sink is outside the bathroom area. 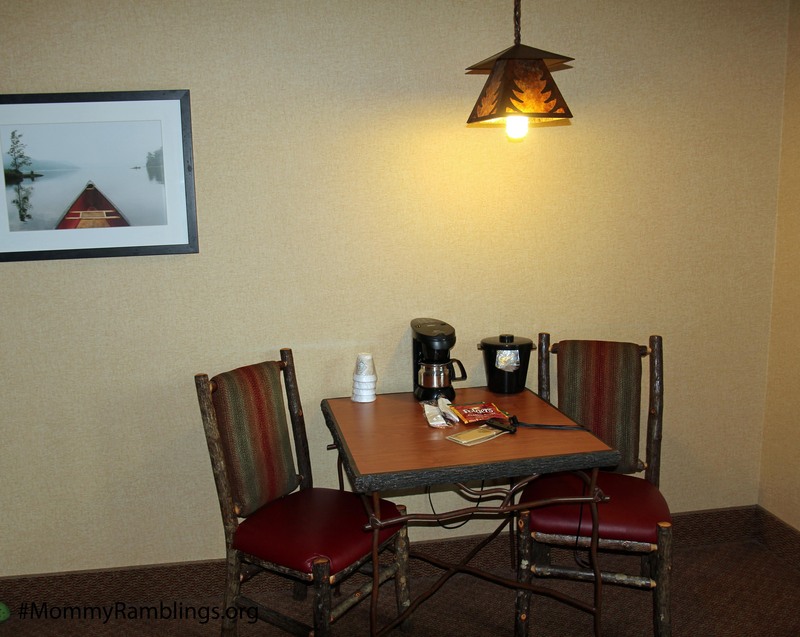 Our room had a mini-refrigerator, microwave, coffee maker, iron/ironing board and Wi-Fi access. They had ice cream machines and drink vending machines for any late night snacks. 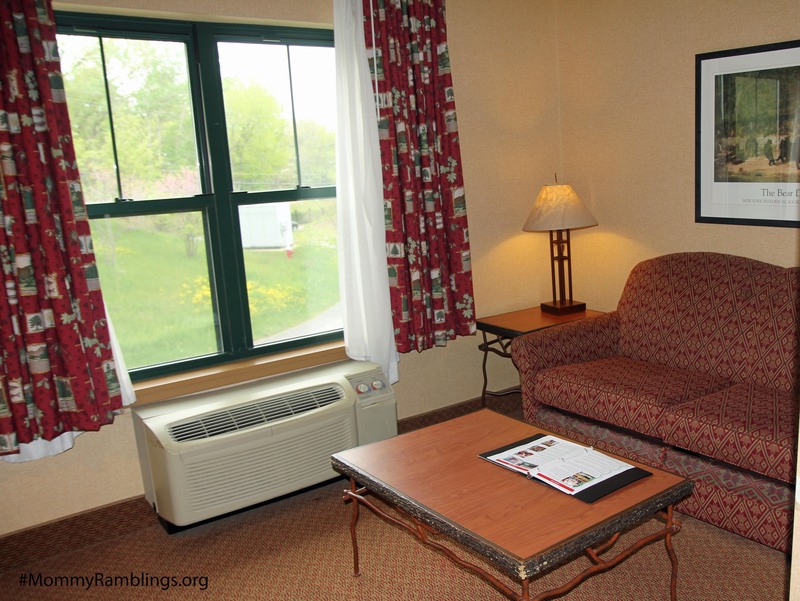 Other suites are available with breakfast bars, bunk beds and more, you can see all the options HERE! 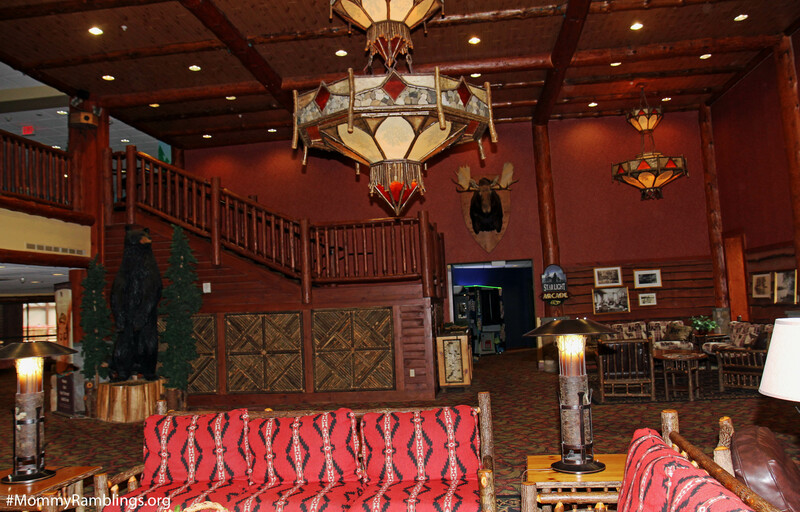 On Site dining options are Johnny Rockets, Tall Tales Tavern, Birch Bark Grill (by the indoor waterpark) and for coffee lovers there is the Tall Pines Coffee Corner. There are many restaurants off site too as well as a Walmart and many other stores in the immediate area. Special Deals are available, check them out HERE! 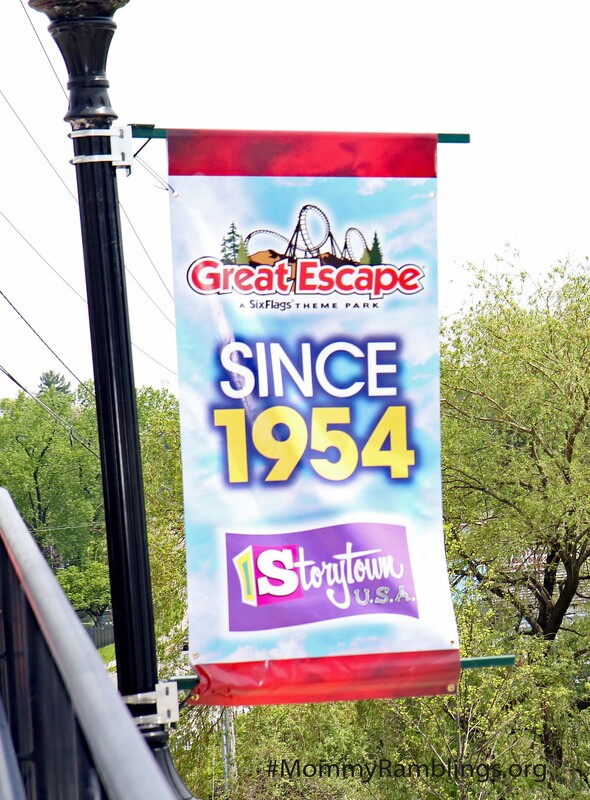 Great Escape Theme Park across from the lodge has over 135 rides, shows and attractions and features the brand new looping coaster-Greezed Lightin’. 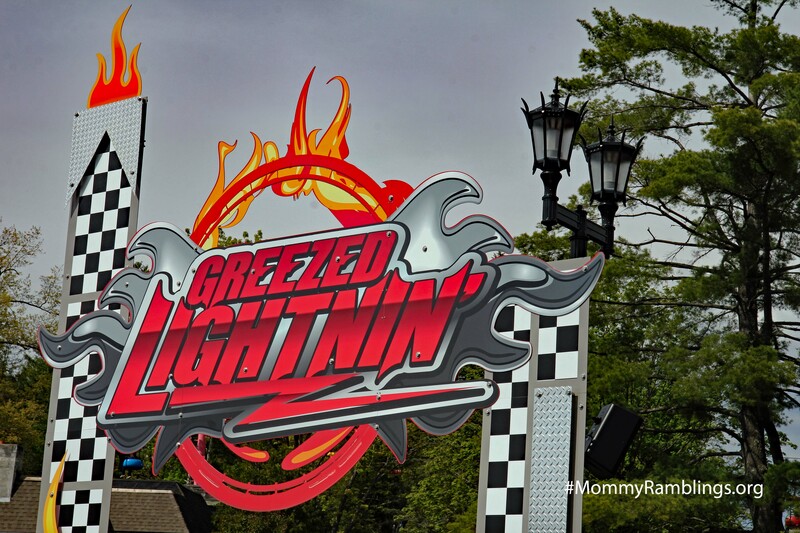 Greezed Lightnin’ officially opened to the public on May 28th but was able to be ridden by us and other select guests. 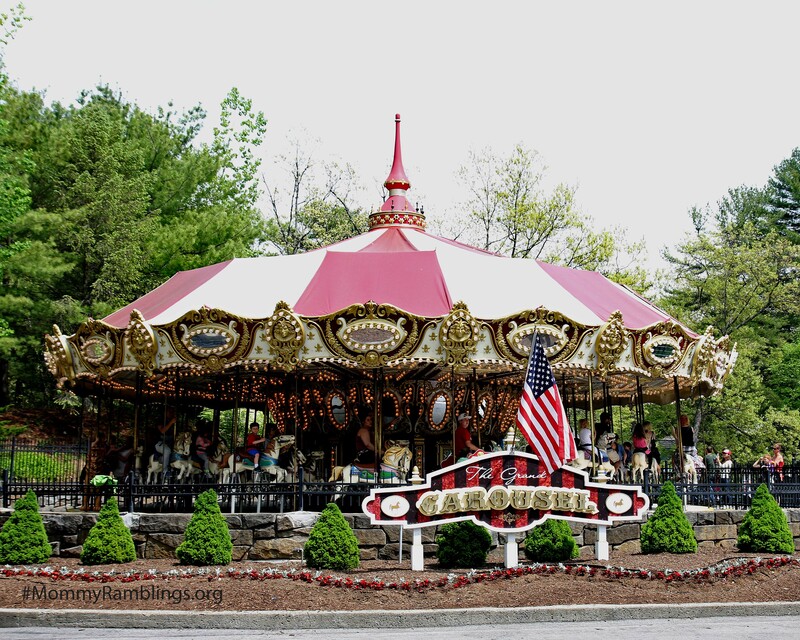 There are plenty of games if you like that, loads of thrill rides, a nice carousel, log flume ride, several kiddie rides and plenty of places to eat. 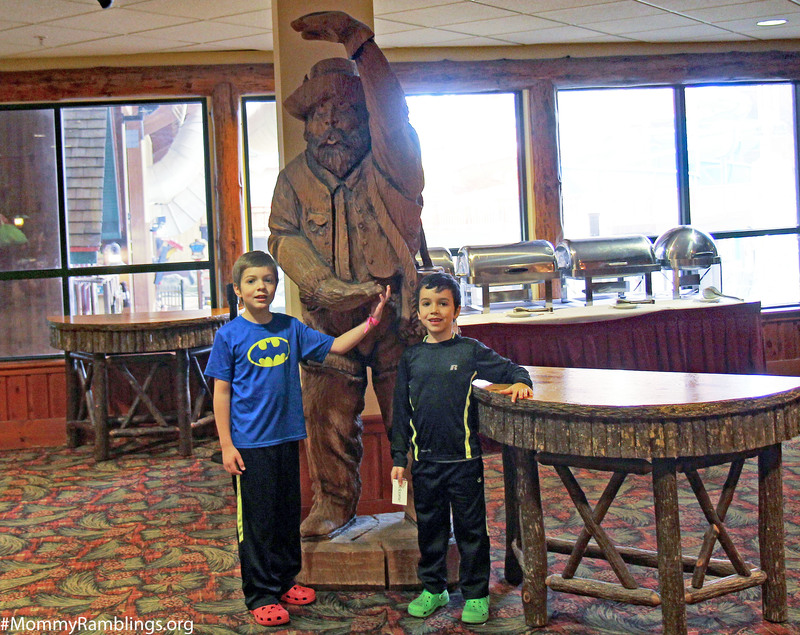 We found it to be an awesome place to spend with our family making memories. 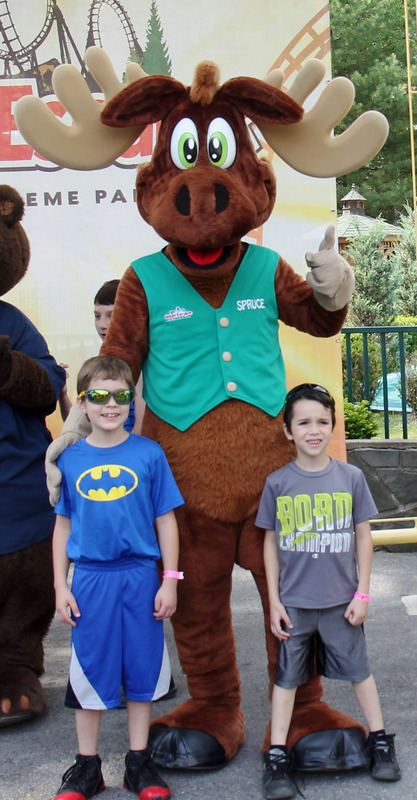 I would like to go back when Splashwater Kingdom is open! 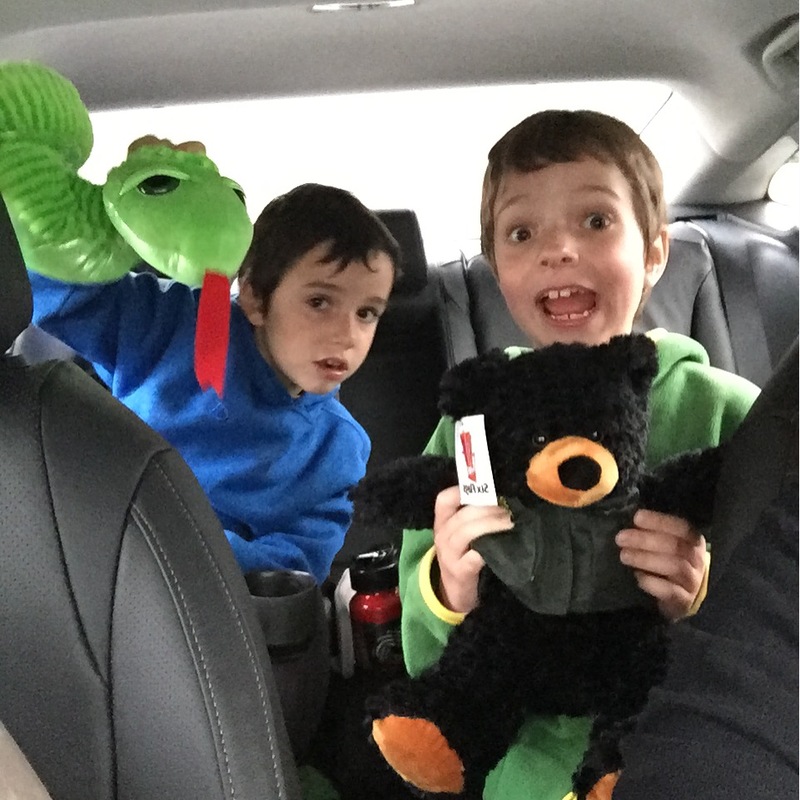 A trip to one of the gift shops on our way out of the park to pick up two special friends to remind our kids of their awesome weekend was the perfect end to a super great weekend. 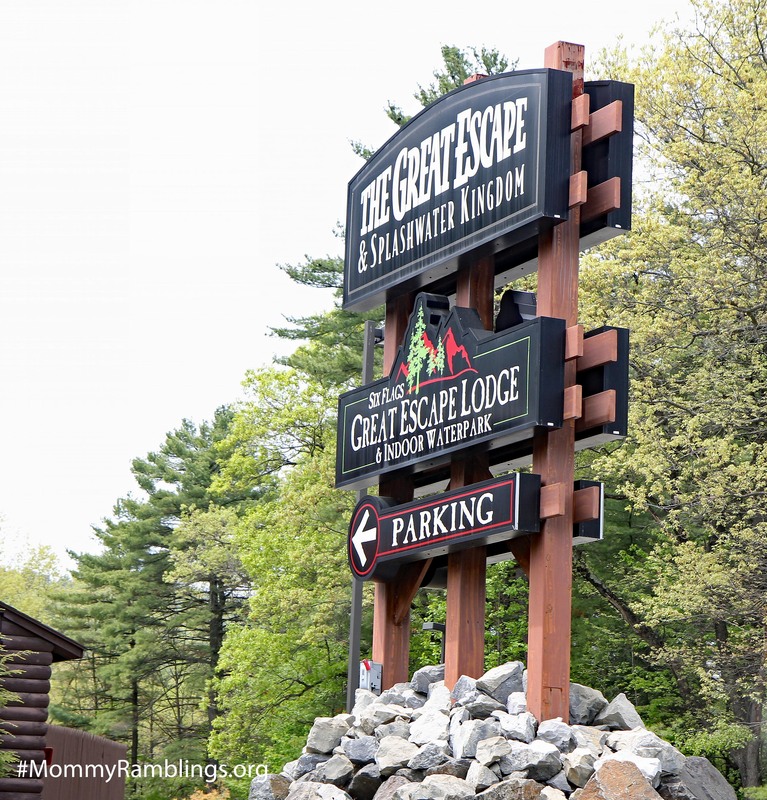 If you are looking for a family fun destination in the Northeast, check out Great Escape Lodge in Lake George. 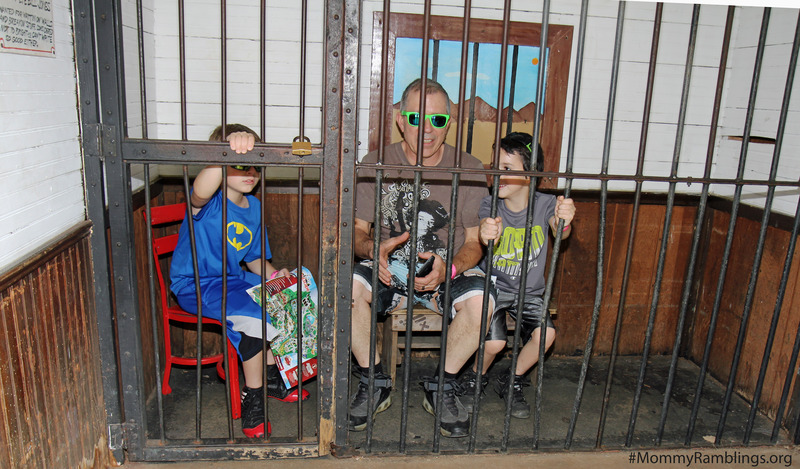 If you have been to Great Escape I would love to hear your thoughts in the comments. If you have any questions, ask in the comments and I will be happy to answer as best I can. 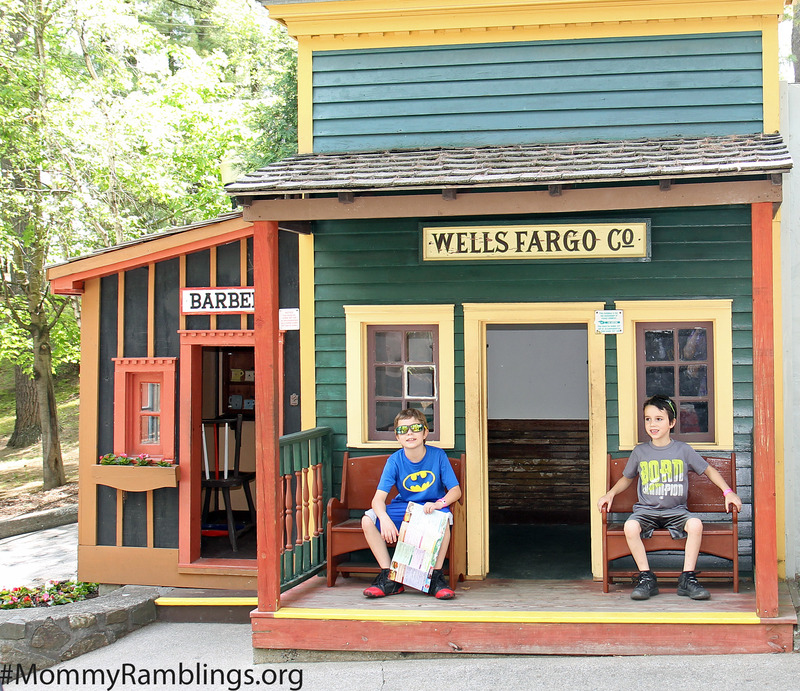 Our stay and admission in both the indoor water park and Six Flags Great Escape was sponsored as a blogger working with USFG. As always my words and views are 100% my own.